A drug interaction is a situation in which a substance usually another drug affects the activity of a drug when both are administered together. This action can be synergistic-when the drug’s effect is increased or antagonistic-when the drug’s effect is decreased or a new effect can be produced that neither produces on its own. Typically, interactions between drugs come to mind are drug-drug interaction. 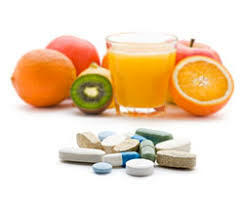 However, interactions may also exist between drugs and foods that is drug-food interactions, as well as drugs and medicinal plants or herbs that is drug-plant interactions. People taking antidepressant drugs such as monoamine oxidase inhibitors should not take food containing tyramine as hypertensive crisis may occur which is a drug-food interaction. These interactions may occur out of accidental misuse or due to lack of knowledge about the active ingredients involved in the relevant substances. ■ Drug-drug interactions occur when two or more drugs react with each other. This drug drug interaction may cause you to experience an unexpected side effect. For example, mixing a drug you take to help you sleep (a sedative) and a drug you take for allergies (an antihistamine) can slow your reactions and make driving a car or operating machinery dangerous. ■ Drug-food/beverage interactions result from drugs reacting with foods or beverages. For example, mixing alcohol with some drugs may cause you to feel tired or slow your reactions. ■ Drug-condition interactions may occur when an existing medical condition makes certain drugs potentially harmful. For example, if you have high blood pressure you could experience an unwanted reaction if you take a nasal decongestant.